Dierk Brandenburg, Senior Sovereign Analyst at Fidelity International, comments on today’s ECB meeting and the potential outcomes. “The ECB will soon find itself at a crossroads, and will have to assure the market in principle that its QE programme will continue despite the negative side effects on the financial system. The lack of available risk-free collateral is the key issue for the bond market. 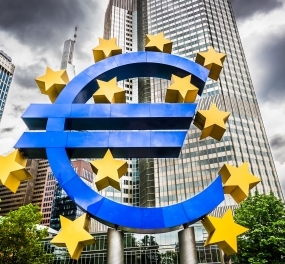 With EUR 1.2tn EUR worth of government bonds now trading below the deposit rate, and therefore not eligible for the ECB’s PSPP, the ECB has two choices. “They can reduce their deposit rate further from the current -40bp, buying more short-dated bonds. Similar to a deposit rate cut, this would steepen European government bond curves and move core long-end rates further into negative territory. We do not believe that this will be welcomed by European banks, whose margins are under pressure already.